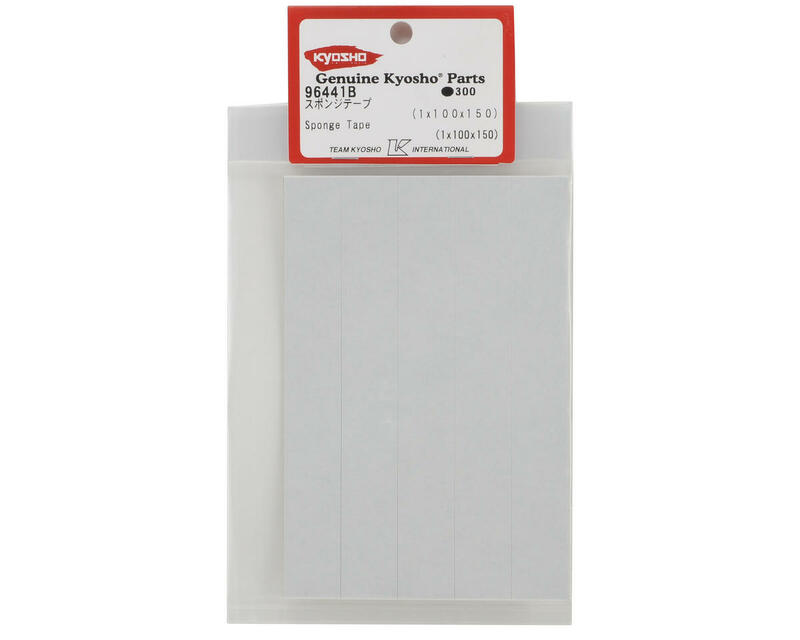 This is a sheet of Kyosho Pre-Cut Sponge Tape. This sheet measures 1x100x150mm, and is pre-cut into 12 individual pieces. This tape is an excellent choice for mounting servo's, ESC's, receivers, or for any other application that requires two sided tape.